I invited a group of bright, shining women over for dinner last weekend. And so, at the beginning of the week, I started to, what we call in the business, menu-plan. The weather was sharp and crisp, and all signs pointed to soup, perhaps some manner of chowder. But then, by Saturday, it had turned hot again, like, summertime hot. I scrapped my chowder idea and started planning anew. And this is when I fully realized just how many of my cookbooks are organized by season. And well, when it's 90 degrees at the end of October, much of fall's bounty just doesn't feel right, and, at the same time, the summer produce has been gone for almost a month. So, I split the difference by grabbing a recipe from the spring section of David Tanis' A Platter of Figs. Here's the thing about entertaining with risotto. 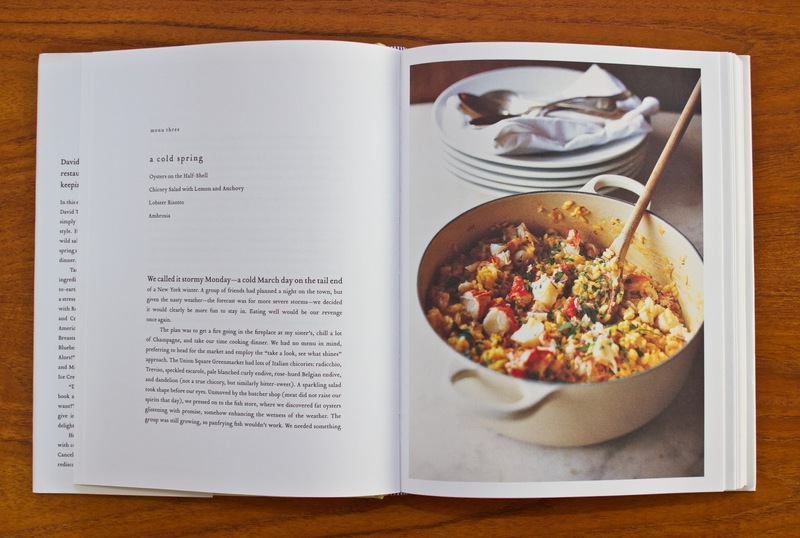 If you have a kitchen that's out in the open or big enough where people can gather with you as you stir and add broth, it's actually a fine dish to serve to dinner guests. There's only one way you can really mess this up, and that's by starting to add the broth too soon and then finishing the dish before the guests even arrive, which may have been what I did. And then what happens is you end up frowning and apologizing for soggy risotto all night. Sure, it tasted great, but, by my estimation, the texture was a bit soft. Speaking of texture being slightly off, have I told you about Matt's and my diet? Yes, we're on a diet. The main rule? We can only have fruit for dessert. It has been p-a-i-n-f-u-l. Last night, we had a 30 minute conversation about what it would mean—from a philosophical perspective—if we ran out and picked up a piece of chocolate cake. But wait, I've said too much. Stay tuned for this and the ambrosia in the stunning part two of this post, which should be up in a few days time. In a heavy-bottomed pot, saute the onions in the butter, adding a little salt, until they are translucent, 5 minutes or so. 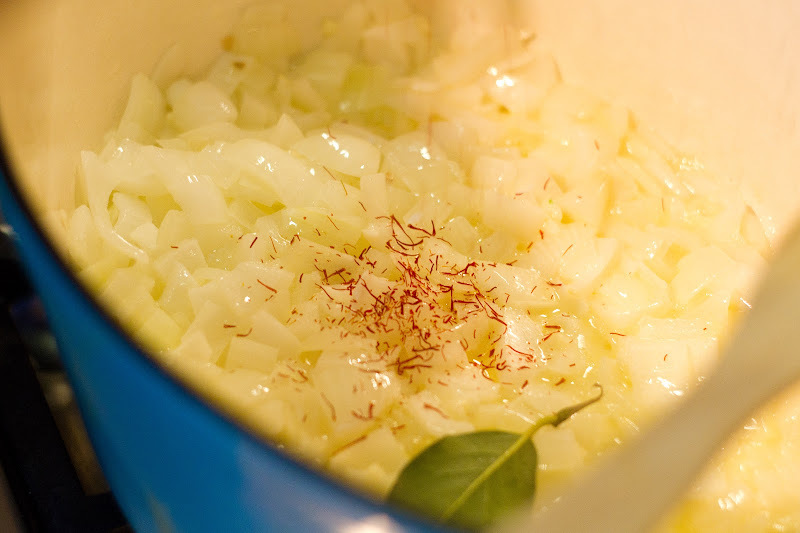 Increase the heat and add the olive oil, rice, saffron, bay leaf, garlic, and a little more salt. Stir until the rice is sizzling and aromatic. Add 2 cups broth and bring to a boil (from this point, it will take 15 or 20 minutes to cook the rice). Set the fire to keep the liquid at a brisk simmer. This is critical. If the flame is too low, the rice will become soggy; if is too high, the liquid will simply evaporate instead of being absorbed by the rice. 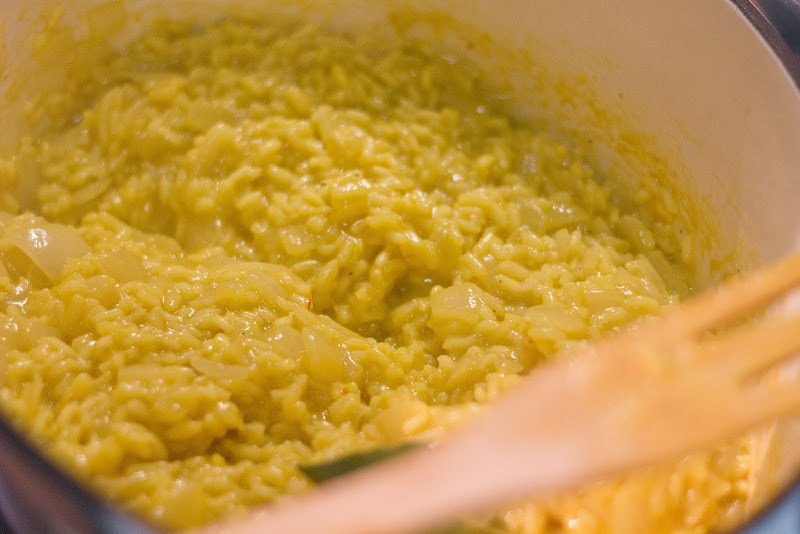 You'll need to keep adjusting the heat to keep the risotto simmering correctly. Stirring occasionally, allow the broth to reduce almost completely, until little sinkholes appear on the surface. Add another cup of broth and repeat. 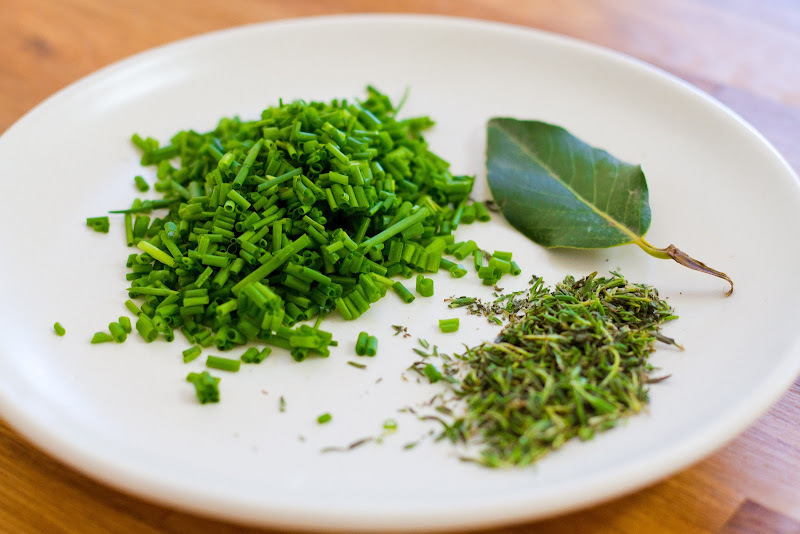 Adjust the seasoning with each addition of liquid. Add a final cup of broth and repeat. A little more salt, or more broth, may be required. When the rice is done, it should be just al dente and a bit soupy. 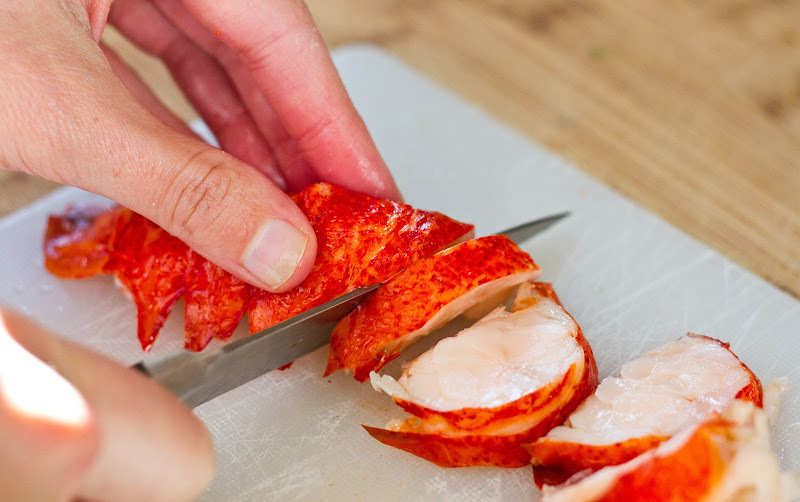 Just before serving, add the cooked lobster meat and season it with salt and pepper. 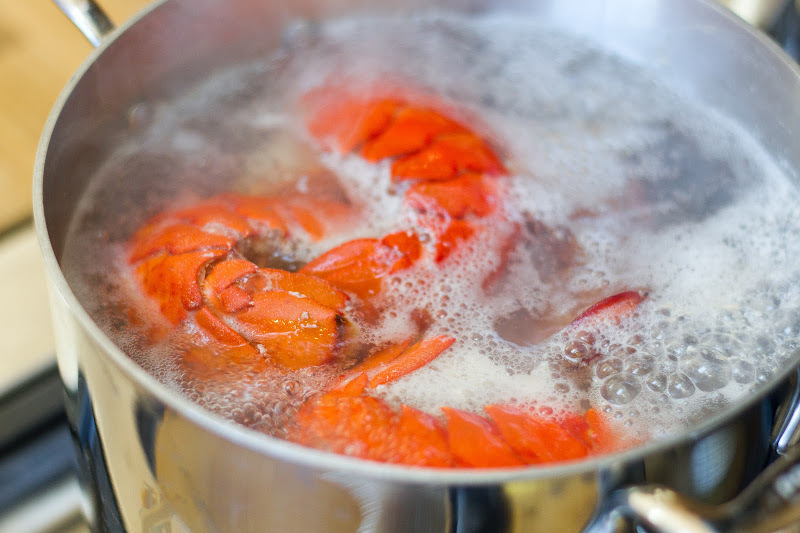 Sprinkle the herbs and lemon juice over the lobster, then gently mix with a wooden spoon—avoid smashing the rice. Add a little more warm broth, so the risotto is easily spoonable. Serve the risotto in a warmed shallow soup plate, and pass a bowl of the spicy lobster mayonnaise, so each person can add a small spoonful. Tanis practically shamed me into making this from scratch. His words: "I believe it's important to make your own mayonnaise. It is not hard to do, and no matter how many cookbooks or food magazines recommend mayonnaise from a a jar as a good substitute, I strongly, vehemently disagree. 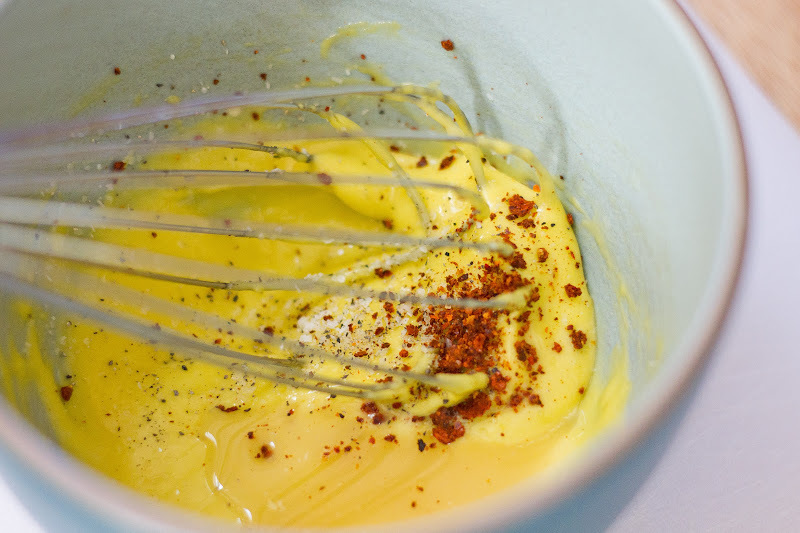 Whisk two egg yolks in a bowl. Slowly stir in olive oil, a spoonful at a time, until an emulsion forms. As the sauce thickens, continue whisking and adding oil in a slow, steady stream. When the mayonnaise is quite thick (you'll have used about a cup of oil at this point), thin with a teaspoon of broth or water. Season with salt, pepper, and a good pinch of ground red pepper, such as hot paprika. (I used crushed chili flakes.) 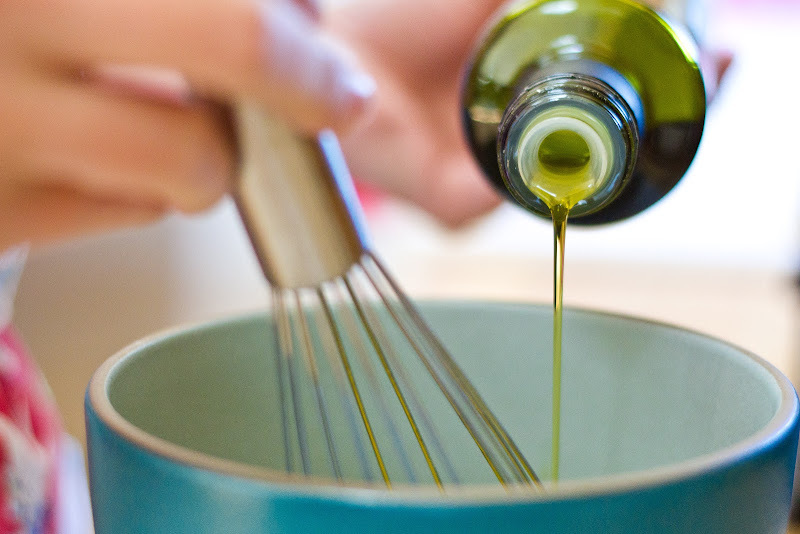 Whisk in another 1/2 cup olive oil. Thin again, and adjust the seasoning. Add a few drops of lemon juice or red wine vinegar, and a little more broth or water. The finished mayo should be the texture of softly whipped cream. That sounds like the philosophical conversations I have with my fiance when he eats all of the dessert I was saving...meaning his and my portion. Definitely a right of personhood debate such as if he has more right to eat dessert than I. This is all sounding similar to the philosophical conversations that Adam and I have over whether the person who is bigger has a right to a bigger portion. 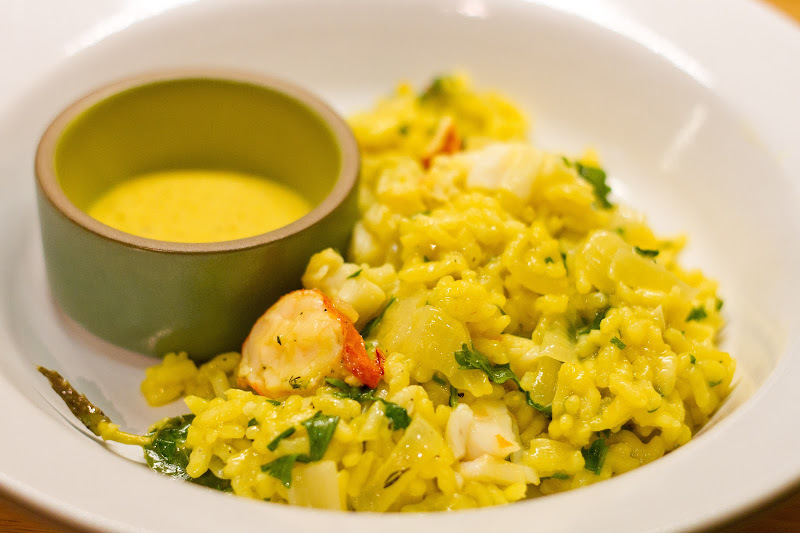 Lobster risotto with saffron?? When'd you get so faaancy? But your risotto looks amaaaazing and the pics in this post are extra beautiful. That looks wonderful and the advice about adding the broth too early is great! 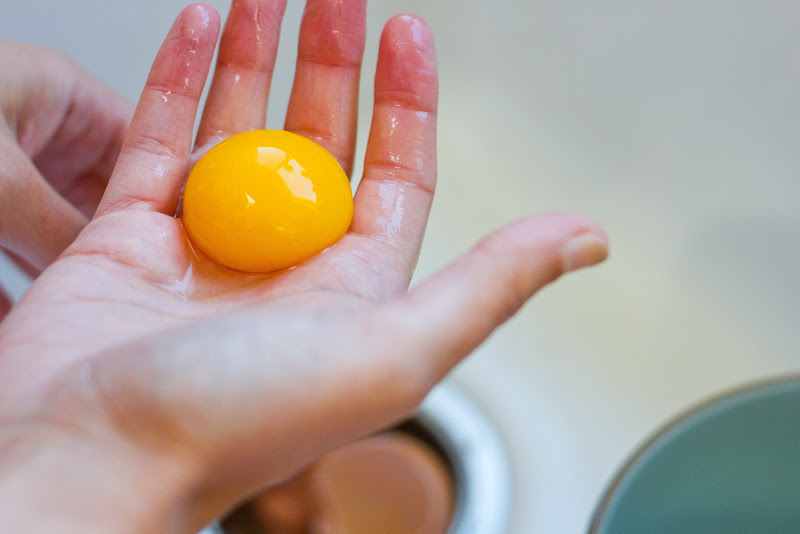 I have been thinking about trying my hand at making mayonnaise and now that I see that it isn't that tough (other than for my arm muscles) I will have to give it a try! This looks AMAZING! Like, seriously. Oysters and Les Miz? NEI!!! Thank you for the much-needed brief election distraction. I CANNOT WAIT for Les Miserables! Can. Not. Wait! I think you're right about serving risotto for a dinner party- it's not hard, but timing is everything. 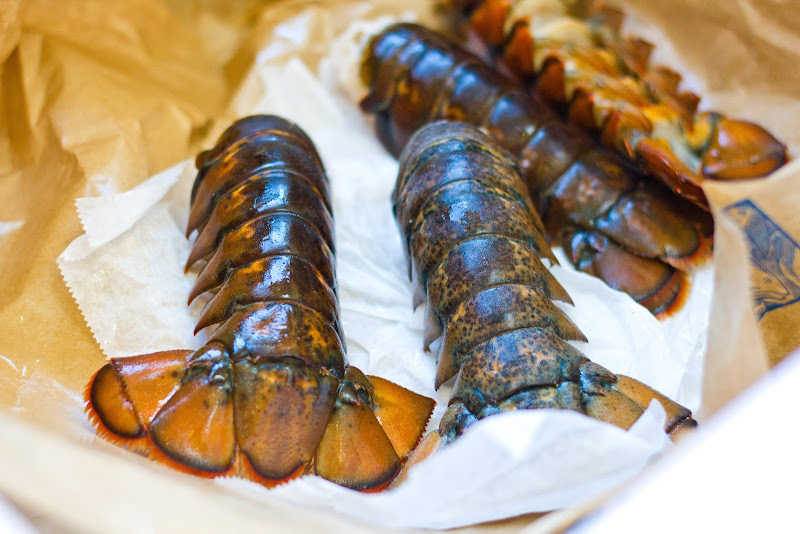 Lobster = delicious. yay for fancy dinner parties! this looks pretty. I don't care too much for store-bought mayo. I think it's pretty nasty. But homemade?? Pretty much an entirely different beast, and out control DELICIOUS! I want it on everything, all the time. I've been fancy for like 4 or 5 weeks now. Get up to date, Mare!! Lobster? Oh you fancy, huh. Can I come over for xmas? I'll dress up as an elf and pretend to deliver presents as long as you slip me a few oysters. Not weird at ALL. I guess it's fitting that I posted this on election day, huh?! Never apologize!! You made LOBSTAH risotto, for Pete's sake! Holy mother. It looks incredible! And yes, homemade mayo is worth it. I do it in a food processor. I'm pretty sure my arm would fall off doing it by hand! @Luisa & Kelsey: hahahaaha I know, I know. I'm the worst!! 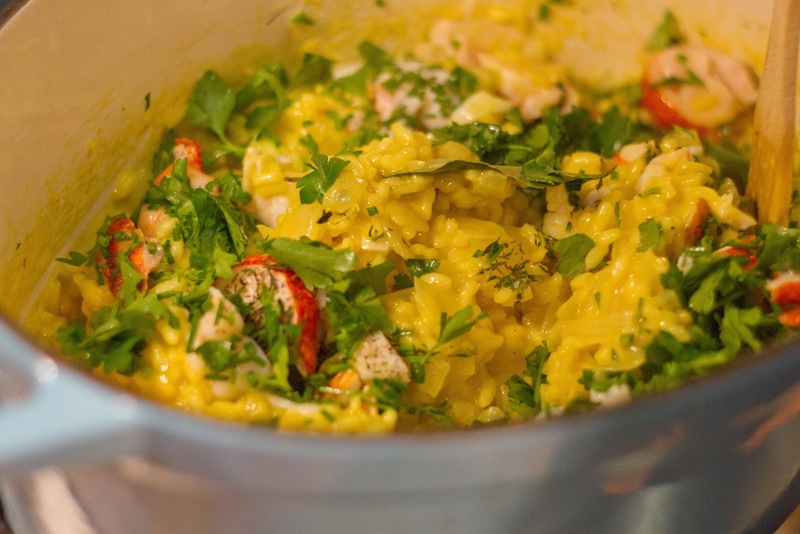 This risotto looks yum -- I love seeing the saffron in it. I once went on a diet. My friend who's a nutritionist helped me plan it. I told her I simply couldn't cut out chocolate, so she said I could have two small squares every evening and one full dessert on the weekend. I found that knowing I could still have a bit (and a big on on the weekend!) made everything much more tolerable. Oh, and the diet did have the desired affect, by the way. Gorgeous and delicious. I need to make this too!